I apologize for the inconvenience this morning regarding signing up for the afterschool clubs! The sign-up for session 2 will be available on Wednesday, October 18th. If your student was unable to attend a club last session you will have first priority at 7:30 a.m.; all others may begin registration at 7:50 a.m. The fees for Afterschool Clubs are $12 per club this year. Students may sign up for as many clubs as they would like. The students will receive a T-shirt (one per year), healthy snacks, a prevention lesson, physical activities or games and one hour of club instruction and activities. An early morning club will be available everyday at no charge from 8:00 a.m. to 8:30 a.m. It is available for students who would like extra homework or reading help. Also, for parents who need to leave for work early and want a safe place for their students. A registration form and waiver must be completed to participate in early morning club. 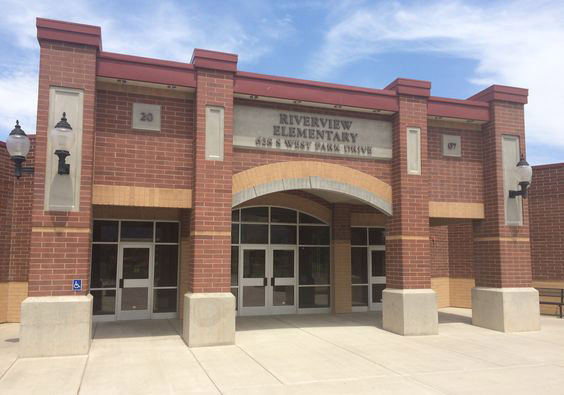 All information will be on the Riverview website in the Nebo Boys/Girls After-School Club Link found on the left side of the school website http://riverview.nebo.edu/. You will find club schedules, registration forms (you will only need to fill out one per school year), THE LINK TO THE ACTIVE REGISTRATION WILL BE SIGN UP GENIUS. Payment WILL NOT be online this time, please bring your payment to the office by FRIDAY, October 27th to secure your spot. If you need payment arrangements or have any question please contact RaeAnn Nelson at raeann.nelson@nebo.edu. A Great BIG Thank You from Riverview!! Our Chalk-Walk was a huge success. We have collected $4,609.00. Have a safe Fall Break!